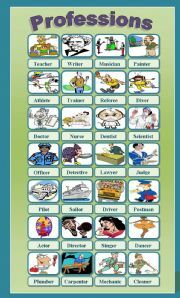 I am a teacher of English in Greece. My students are in the age group of 8 to 16 on average. Teaching English as a second language has always been a challenge. I try to use new material to keep them interested and motivated. Being able to find such material through education related websites such as this one is amazing! Great initiative Victor! Thank you for your valuable contribution! 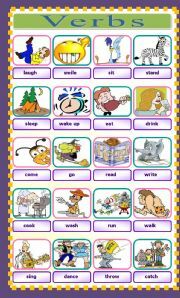 Action Verbs Worksheet for elementary students. A Professions Pictionary for pre-intermediate students. An opinion essay regarding higher life expectancy; a blessing or a curse? An opionion essay regarding distance learning verses conventional academic studies. Writing worksheet with 2 tasks (paragraph order & find the missing sentence). The life of a celebrity. Advantages and disadvantages of being a celebrity. 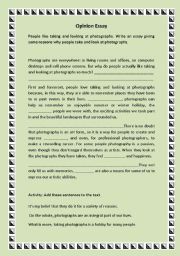 A writing worksheet containing 2 tasks (paragraph order & find the missing sentences). 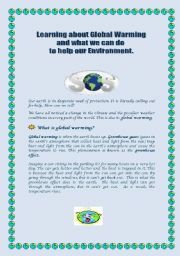 An article about Global Warming and what we can do to help protect our environment. Write a letter telling your cousin that you are sorry. 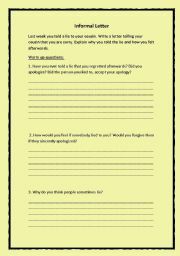 Skills worksheet for writing a letter of apology. Contains warm up questions. The topic is apologising for telling a lie. Taking and looking at photographs. 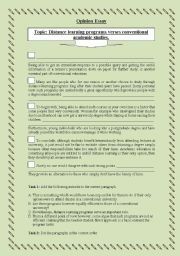 A skills worksheet on opinion essays. Topic: Why do people like taking and looking at photographs? 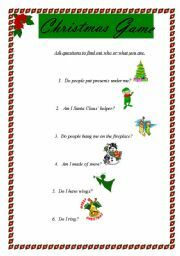 A fun Christmas guessing game for elementary students. 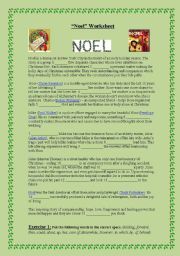 The aim of this game is to present students with Christmas related vocabulary whilst practising the interrogative form of the Present Simple. 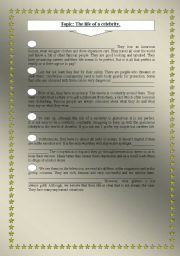 A movie worksheet for Intermediate - Upper Intermediate students. After having watched the movie students are asked to comlete the activities. Can also be used as a speaking activity by asking students to elaborate on their written answers. Song lyrics - Don�t worry, be happy! A pleasant song activity for a little classroom fun.